This cross section MRI image of the brain is from a person who sustained a severe head injury. The injury resulted in bleeding beneath the dura mater, one of the membranes covering the brain. 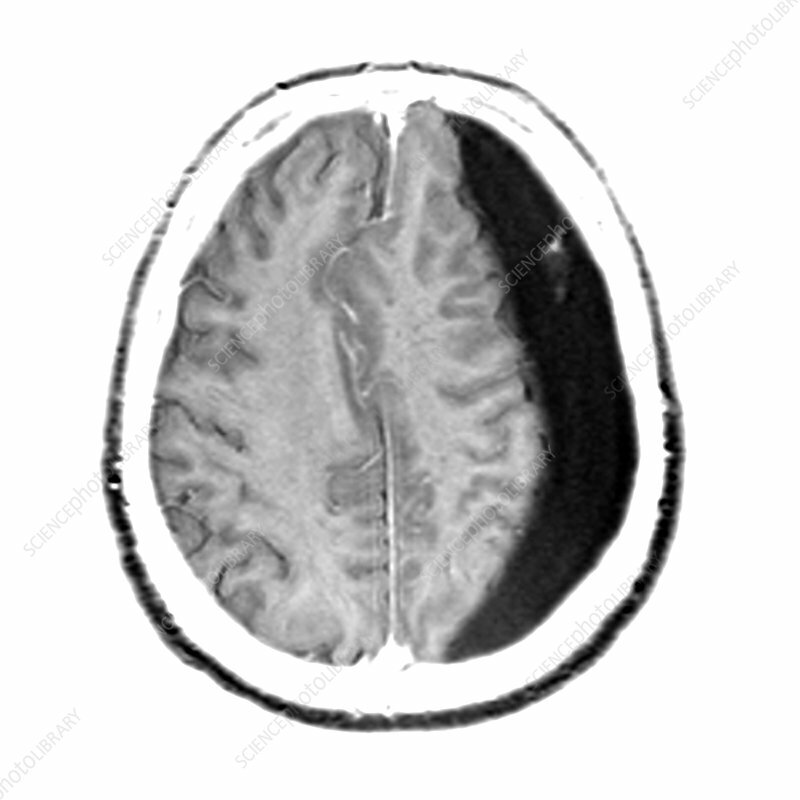 This is called a subdural hematoma. The subdural hematoma does not include bleeding within the substance of the brain.